As the resolutions referencing climate change show, climate security has become more prominent on the UNSC agenda over the past two years, not least due to the efforts of Sweden and the Netherlands in pushing for appropriate climate risk management. 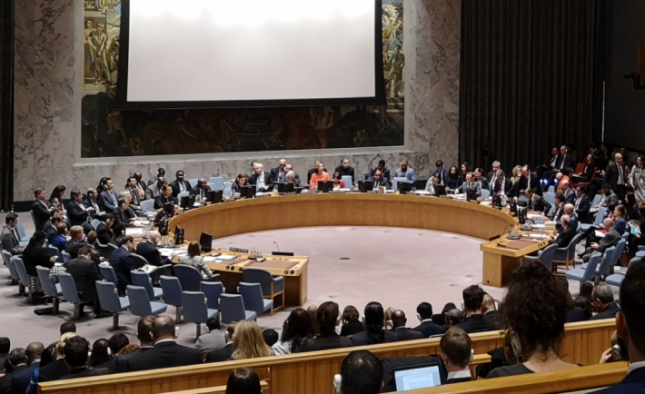 With Germany now a non-permanent member of the Security Council and its commitment to prioritize climate securityduring its term, 2019 and 2020 will see further engagement of the Security Council on climate security. In 2018, Foreign Minister Heiko Maas together with Nauru co-initiated a Group of Friends on Climate and Security, which recently grew to more than 40 member states from all of the UN’s five regional groups. Building on advances made by Sweden, the Netherlands, France, Belgium, the UK, Ukraine, and now the Dominican Republic, Germany seeks to help enable the UN system to better respond to the interlinkages between climate change and peacebuilding, and to develop greater understanding and capacity to address climate-fragility risks on the ground. Photo by Stella Schaller (adelphi). All rights reserved.